Launching an entire range of CPUs was always going to be a tall order for AMD, but despite some early teething troubles and a need for software optimisation, we're finally getting to see what Ryzen is capable of. 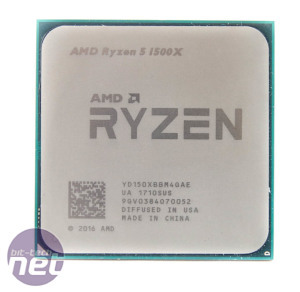 As we said in our Ryzen 5 1600X review, it's perhaps not the Ryzen 7 range of eight-core/16-thread monsters that will actually be deciding battle in the Intel vs AMD argument; Ryzen 5 is really where AMD will be of most interest to your average mid-range-focussed enthusiast. That's because of two things. First is specifications - we're dealing with four- and six-core CPUs here, which are all multi-threaded and overclockable and thus provide more than enough multi-threaded grunt for most of us. 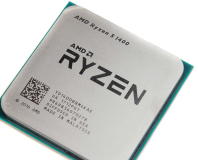 Secondly, there's the price; starting at just £169/$169 for a quad-core, multi-threaded CPU makes the Ryzen 5 series much more attractive in terms of value than the Intel equivalents. Following on from that final point is that, as enthusiasts, we all want specifications to brag about, and while Intel has been valiantly gunning for efficiency and adhering to Moore's law for the last few years, a growing number of enthusiasts have added that they simply want more cores or threads from their mainstream CPUs, and we can understand that. With Intel, you're forced to invest in an X99 system for six or more cores, while your cheapest option for more than four threads is the non-overclockable, £300 Core i7-7700. The Ryzen 5 series addresses both of these cravings; you can get a four-core, eight-thread CPU for just £169, and a six-core CPU for just £249 - both significantly cheaper than their Intel counterparts and coming with decent efficiency and impressive single-threaded performance. 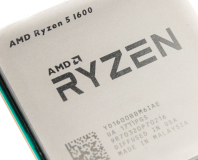 Today we're looking at the flagship quad-core of the Ryzen 5 range - the 1500X - and interestingly, while the eight-core Ryzen 7s all sported very similar specifications, the same is not true for the Ryzen 5 series. The quad-core Ryzen 5 1500X obviously has two fewer cores and four fewer threads than the Ryzen 5 1600X, but it has the same 16MB L3 cache. The latter dips to just 8MB for the cheaper Ryzen 5 1400. In addition, both Ryzen 5 quad-cores have TDPs of just 65W, while both the 1600 and 1600X sit at 95W. There's yet another curve-ball too - all the other CPUs we've seen so far have an XFR boost of either 100MHz (for X-edition CPUs) or 50MHZ (non X-edition CPUs). However, the Ryzen 5 1500X has an XFR of 200MHz - four times higher than the 1400 that sits below it. This is enough for an XFR boost up to 3.9GHz although not across all of its four cores. However, anywhere that doesn't make good use of more than a couple of cores could see this CPU offer similar performance to the Ryzen 7 1700X, as it also has 16MB L3 cache and an XFR boosted frequency of 3.9GHz. XFR is borked if you overclock, though, so that's only of interest to stock speed aficionados. One of our initial concerns about the whole Ryzen range was that there appeared to be very little difference between the numerous CPUs on offer. We now know that actually there are some interesting tweaks here. With simultanious multi-threading in tow, the eight threads of the Ryzen 5 1500X should also give Intel something to worry about. 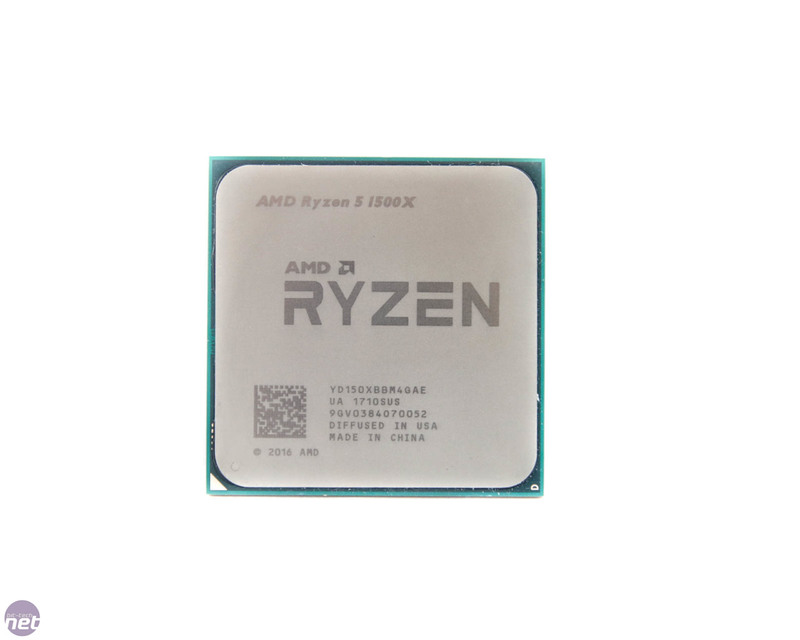 At £189, the AMD CPU is not only considerably cheaper than the Core i7-7700K but also leaves you with a significant amount of change compared to the Core i5-7600K too, which while overclockable only has four threads to the Ryzen 5's eight. 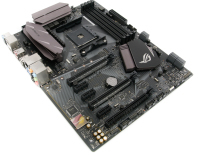 Asus brings an overclockable ROG Strix board to AMD's budget B350 chipset for just £120.